 KEVIN “K.O.” OLUSOLA'S SECTION 101 WEBSITE! Section 101 is proud to host the website for Pentatonix member Kevin “K.O.” Olusola. Kevin, the beatbox king of the group, recently self-released the album, The Triptyq Sessions, which came after his first solo release, The Renegade EP, which came out on RCA Records. Triptyq is made up of Kevin, singer-songwriter Antoinette Costa and classical artist Tara Kamangar. This classical meets hip-hop project is a labor of love for all three artists. Their first single, "Mr. Right," debuted at #2 on the Classical iTunes Chart. Triptyq uses voice, cello, violin and piano to create their unique sound, with all drum beats coming from Kevin’s mouth. His solo EP, The Renegade, which came out in 2015, features five classical crossover songs, done “Kevin-style,” most notably his version of “Julie-O,” which is the song that caught the attention of Scott Hoying from Pentatonix. Scott saw the video of Kevin playing cello while beat boxing ("celloboxing")on YouTube and immediately asked him to try out for the group. The rest, as they say, is history. Kevin, who beat-boxes as part of the Platinum selling, Grammy award winning group Pentatonix, also plays cello (which he has now incorporated in to PTX’s live shows) and saxophone. 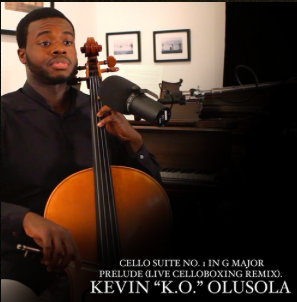 His website, https://kevinolusola.com/music, showcases all of his abundant musical talents and he is giving all visitors to his website his version of Cello Suite No.I in G Major as a free download. A talent like Kevin’s comes along once in a blue moon. If you love music, you will love looking around Kevin’s website and being blown away by what he does, how he does it and how effortless he makes his gift seem!